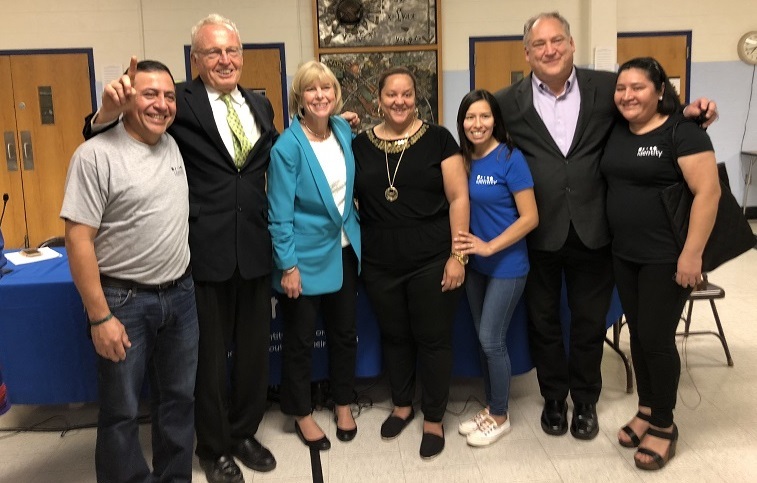 County Executive Candidates Pledge Support for Latino Children – Identity, Inc.
Nearly 300 people packed the cafeteria at Gaithersburg Middle School Thursday night to question the three candidates running for Montgomery County Executive, about issues of interest to the Latino community. This forum was organized by Identity, giving the Latino community an opportunity to have their voices heard and their questions answered. All three candidates, Marc Elrich (D), Nancy Floreen (I) and Robin Ficker (R) pledged to expand educational and recreational opportunities for children of immigrants.